I love a good curry, even in the middle of summer. You can’t eat salads all the time, even in a heatwave. Anyway they were invented in a hot climate, the theory being that by making you perspire you cool off. We eat a lot of ginger in our house so I buy at least half a kilo at a time. I try to choose fat evenly shaped tubers because they’re easier to peel, although I have to confess that if I can find someone ensconced in front of the TV watching cricket or rugby, I get him to do the peeling. My wonderful unpaid sous chef! Once peeled, process the ginger in a food processor until very finely chopped, then freeze in ice cube trays. They hold about a tablespoon and that’s how much I use in most recipes – stir fries, curries etc – even if the recipe says to use less! If you don’t like so much ginger, fill them only half full. Once frozen tip into a plastic container and keep in the freezer to use as needed. Zap very briefly (20-30 secs) in the microwave to thaw, or throw them straight into a stir fry as they are. Buying ginger as you need it usually means throwing away what’s left over – when you eventually find it at the bottom of the fridge or all dried up in the vegetable basket! So I find it very convenient to always have it on hand – peeled, chopped and ready to go. I also have a jam jar of small whole red chillies in the freezer and another containing chopped lemongrass. We grow it and it’s all ready at the same time so I have to freeze it, but you could buy some and freeze it. Using frozen ginger, chillies and lemongrass is probably not quite the same as using fresh, but once cooked you’d be hard pressed to tell the difference. In case you’re worried, jam jars won’t break in the freezer. Ginger is very good for you and I always thought you couldn’t eat too much. However, according to Wikipedia “an acute overdose of ginger is usually in excess of about 2 grams of ginger per kilogram of body mass, dependent on level of ginger tolerance, and can result in a state of central nervous system over-stimulation called ginger intoxication or colloquially the ginger jitters”. Maybe that’s my problem. 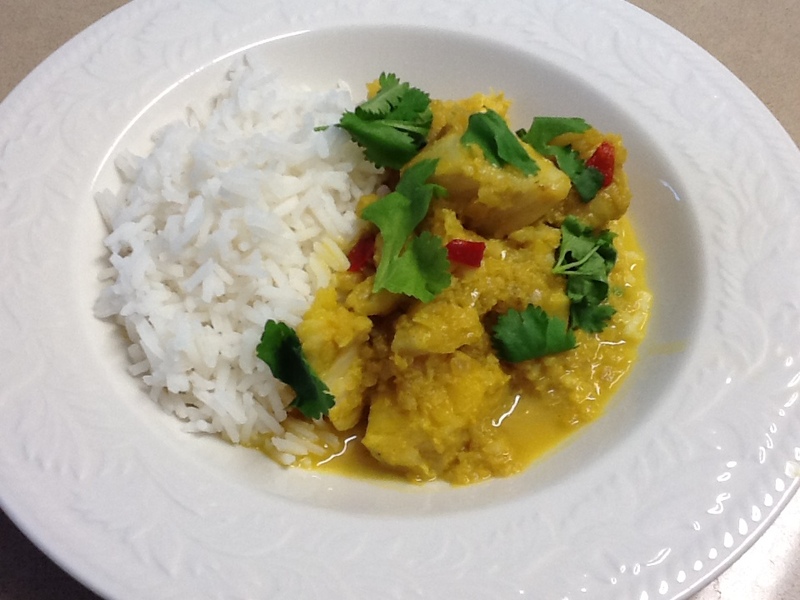 Place garlic, onion, ginger, lemon grass, turmeric, paprika, sugar, fish sauce, chilli and coconut milk in food processor. Process till smooth then tip into a heavy based frying pan. Add kaffir lime leaves, crushed with your hand. Bring to the boil then simmer for about 10 minutes or until thickened. Add fish and cook gently for 4-5 minutes or until cooked. 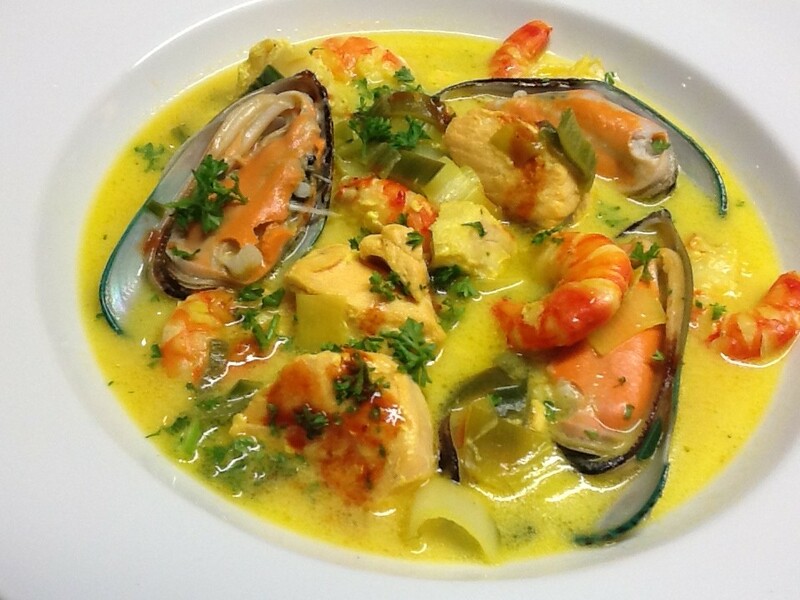 Add lemon juice and check for salt – you probably won’t need any as the fish sauce is salty. Tip into serving bowl and top with coriander. Serve with steamed rice and an Indian pickle or chutney. Note: in Australia kaffir lime leaves are sold in most supermarkets, but if you can’t find them just leave them out. If you can buy them you usually have to buy quite a few, so freeze the surplus. If you can’t find lemongrass add some lemon rind removed with a vegetable peeler and very finely chopped. Not the same, but quite a nice addition. 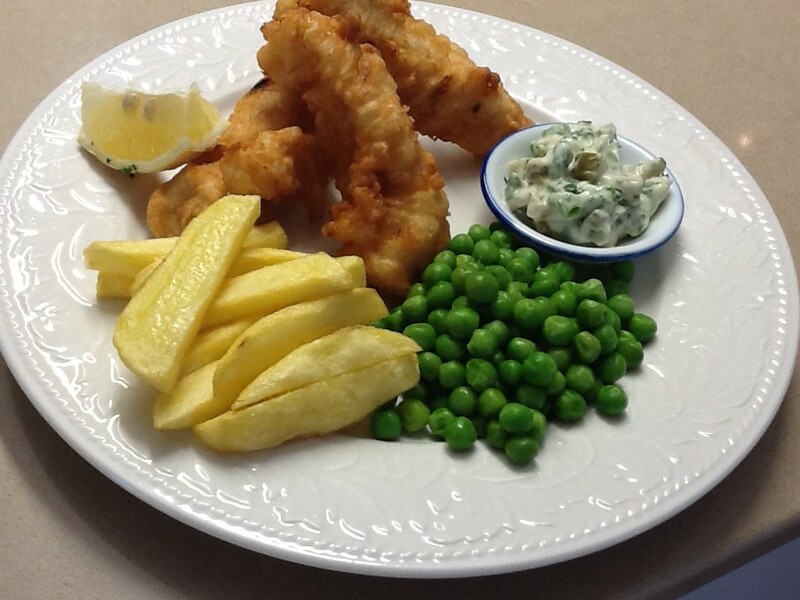 This entry was posted in Recipes and tagged easy, family, fish, quick, vegetarian by Linda Peek. Bookmark the permalink. Esquisita tu receta la pruebo mañana pero de leerla se me hace agua la boca, me encanta el curry. Freezing is a great idea to avoid wasting ginger. But for that neglected bit that is showing signs of sprouting, try planting it in the garden or as a houseplant in a pot. After a six months or so, there will be new fat tubers, ready to cook. Real fresh ginger is very spcial. sounds great linda and i love a quick recipe. left over ginger makes great ice tea too, just add boiling water to the ginger slices, a few tea bags, honey, lemon juice & a little orange juice. great in summer! And hot tea too. Ginger and lemon in the tea pot, add boiling water. Sweeten with honey. Great for colds. 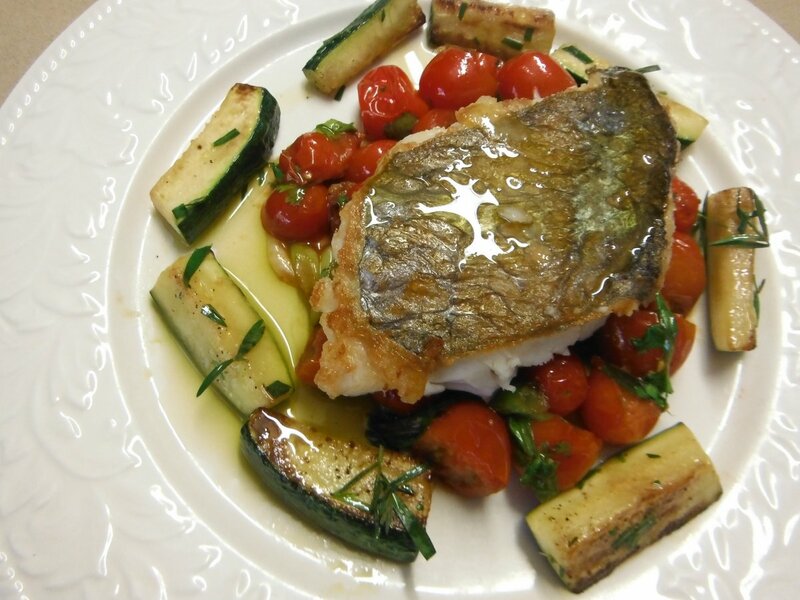 Look forward to trying this recipe – you can’t have too many ways to cook fish. Thanks for the tip about freezing ginger. Never thought of doing that and always end up throwing an old piece in the bin. Magimix is the only way to go. I am onto my third in about 35 years. Sophie, I am glad to know that my blog has encouraged you to cook more! I am always looking for quicker and easier ways to make tasty food. Nobody has hours to spend in the kitchen these days. Super quick, super easy, really delicious! Hi, Linda. As I live in France it won’t surprise you to hear that I’d welcome suggestions for wines to go with this dish, and others as well. Any ideas or suggestions? Some people feel that beer goes best with curries. But I think a nice crisp Chablis or Sauvignon Blanc would go down well.